Onions are a member of the Alliaceae family along with garlic, chives, leeks and shallots and are usually categorized according to taste with different varieties of onions having either, a pungent smell and taste, or are quite sweet. Onion bulbs can be either round or oblong and are composed of concentric layers. The size of an onion bulb will depend on the number and size of the leaves of the mature bulb, for each leaf there will be a ring of onion. 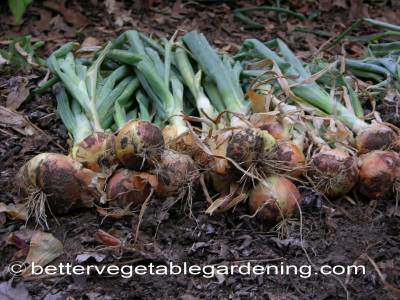 Most onions are biannual but there are a few varieties that are perennial, Potato/multiplier onions and Egyptian walking onions are 2 such varieties. Each onion type has three distinct colors - yellow, white, and red. More importantly for anyone wishing to grow onions is the day length for the different varieties. Onions begin to form a bulb when the hours of daylight reach certain levels. Onion varieties that are long day onions begin to form a bulb, when there is 14-16 hours of daylight and grow best in the Northern summers, north of the 36th parallel. Onions varieties that are short day onions will begin to bulb when there is 10 - 12 hours of daylight hours and grow best in southern summers, south of the 36th parallel. Onions are a hardy cool season vegetable that can be planted out 2 - 4 weeks before the average date of the last 32 F (0 C) freeze in the spring in your area but not before soil temperatures are consistently 40 F (4 C) and above. Onions will tolerate some shade throughout growing season but need at least a minimum of 4-6 hours of direct sunlight daily. In warmer climates onions can be planted in the late summer early fall where it will continue to grow in the cool fall and winter months. The plants will mature over winter and produce bulbs as the days lengthen in spring. 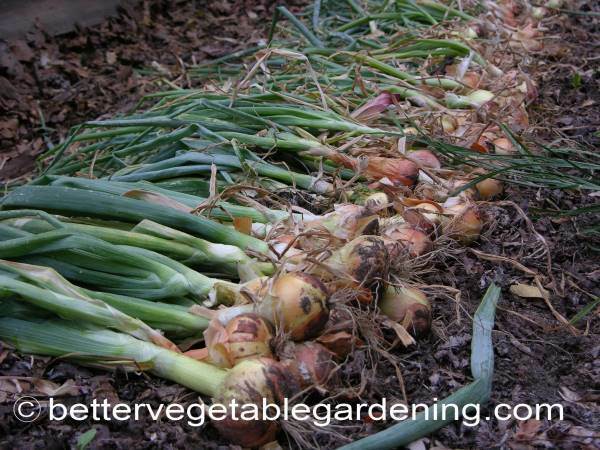 Onions like deep, loose soil that is well drained and has plenty of organic matter. Growing onions in a raised bed with good organic compost and soil that is 8-12 inches deep almost guarantees a good crop. Soil temperatures and air temperatures differ greatest in the early spring. While air temperature might be in the range for planting or sowing seed it will take consistently warm temperature during the day and night for the soil temperature to follow suit. 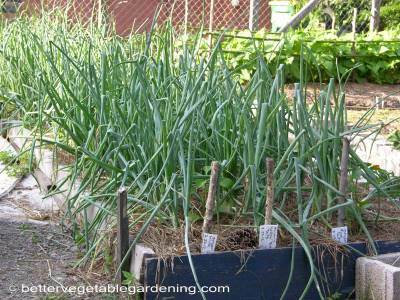 There are three ways to start onions in the home garden. Direct Sow Seed - Seedling Transplants - Onion Sets. 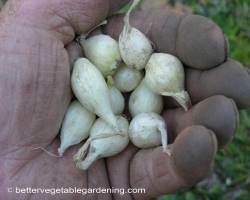 Growing onions from seed, direct sowing to the garden. Direct sowing onion seeds 1/2 inch (12 mm) deep and 1 inch (25 mm) apart in rows 10 inches (25 cm) apart. Then thin to 4 inches (10 cm) apart in row. Thin when onions are the size they can be used as spring onions. 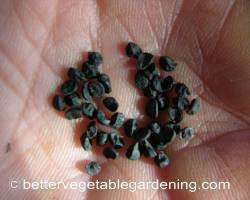 Plant or thin onion sets and transplants to 4 inches (10 cm) apart in rows 10 inches (25 cm) apart. 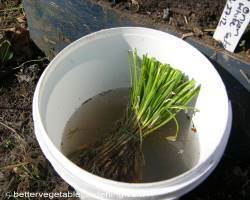 Onions have shallow root system it is important to keep weed under control from the start. Use a heavy mulch to achieve weed control and retain soil moisture. 2 weeks before sowing or transplanting apply 3-4 quarts per 100 sq feet (3.3-4.4 liters per 9.3 square meters) of all purpose organic fertilizer 5-5-5. Side-dress when the bulbs begin to swell with the same rate as initial application. Onion Family members are; Garlic, onions, leeks, shallots. They are light feeders and can be planted after heavy feeders like tomatoes or peppers but preferable not after other root crops. White rot, Rust, Downy mildew. Onions can be harvested for fresh green onions any time they are big enough to use. Harvest only enough to use immediately or for a couple of days at most. Harvest onions for storage as the leaves start to turn yellow and fall over. Onions for long term storage need to be cured before storing. Leaving all the leaves on the bulb pull your onions from the bed. Next; Lay them out in a well ventilated place out of the sun for 2-3 weeks or until the leaves are completely dry and pull away from the bulb easily. At this point your onions are cured and can be stored. Choose a cool, dark place to store your onions. Temperature needs to be maintained between 40-50 F (4-10 C) and well ventilated to prvent mold.